I work through FR Racing and focus primarily on triathletes, runners, and those who need help with swimming. I'm a USA Triathlon certified coach, USA Swimming certified coach, have a degree in Physical Education, AFAA Personal trainer & group exercise instructor certified, and I am a certified lifeguard. 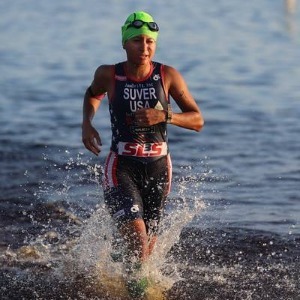 She is a USA Triathlon All-American and Ironman Gold All-World Athlete. She comes from a collegiate running background and raced bikes for USF’s club team. She has a Bachelor’s degree in Physical Education, is a USA Triathlon level 1 certified coach, AFAA Personal Trainer & Group Exercise certified, ASEP Track & Field Coaching, USA Swimming certified coach, and Lifeguard certified. Gabrielle brings her experience, education, and enthusiasm to help her athletes and students achieve success and have fun. In addition to being a competitive athlete, she is also a wife, PE teacher, HS cross country coach, swim team coach, and YMCA triathlon, swim, & running group exercise instructor, ASCA Certified Stroke Technician,​ and AFAA PT. Success. Coach Gabrielle Suver has been notified of your message.